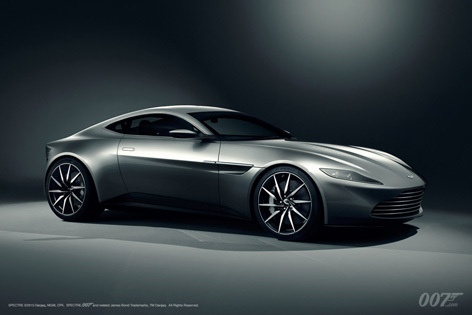 The Aston Martin DB10 from SPECTRE will go on display at the Salon Privé Luxury Supercar Show & Concours d’Elégance at Blenheim Palace from 3 - 5 September 2015. This is a great opportunity to visit a SPECTRE Bond location (Blenheim Palace, read more) and see Bond's new amazing automobile: the DB10. The location is used in the movie SPECTRE: in the teaser trailer and trailer we can see James Bond driving his Aston Martin DB10 in front of the building. This new Aston Martin sports car, developed specifically for the film and one of just ten examples to be built, will be on show exclusively at the 10th anniversary of Salon Privé from Thursday 3 September to Saturday 5 September 2015. 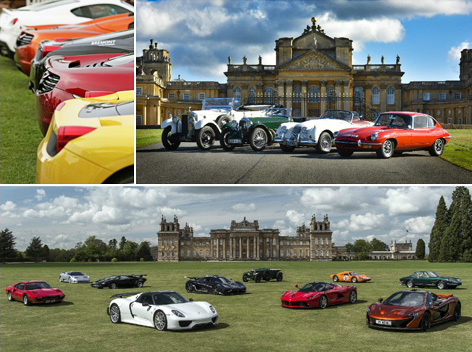 For those of you that haven’t experienced Salon Privé before, it is a motor show unlike any other. Firstly, it is held at the World Heritage Site of Blenheim Palace in charming Woodstock. Moreover, it successfully combines the latest supercars, hypercars and concept cars with the most beautiful classic cars ever assembled. It is a relaxing, glamorous boutique full-hospitality Garden Party where spectacular cars shine, the diamonds sparkle and the champagne corks pop away. Found in the charming Oxfordshire Countryside, Blenheim Palace is one of England’s largest stately homes. A stunning example of rare English Baroque architecture, the Palace is a true masterpiece and iconic part of British history. Famed as the birthplace of Winston Churchill and originally a gift from Queen Anne to the 1st Duke of Marlborough, the Palace has remained within the family and is now the residence of the 12th Duke of Marlborough and his family. Awe-inspiring architecture, grandeur and British history, Blenheim is a magnificent stately home that deserves its title of Palace. A picture perfect location to perfectly compliment the charm and splendour of Salon Privé.